Welcome to 215 Alden Road in the Heart of Rosslyn Farms. This pristine freshly painted move-in ready all brick home features open floor plan with rich hardwood floors throughout, living room with wood burning fireplace. Formal dining room. Kitchen with white cabinetry & granite. Three season room opening to private patio fenced-in. Three bedrooms. Two full baths. Lower floor family room or gameroom. Washer/dryer. Integral single car garage. Rosslyn Farms is unique community with pools, tennis courts, parks, sidewalks. Community center and social events monthly. Minutes to Downtown Pittsburgh via busway. Close to Universities, hospitals, medical centers. 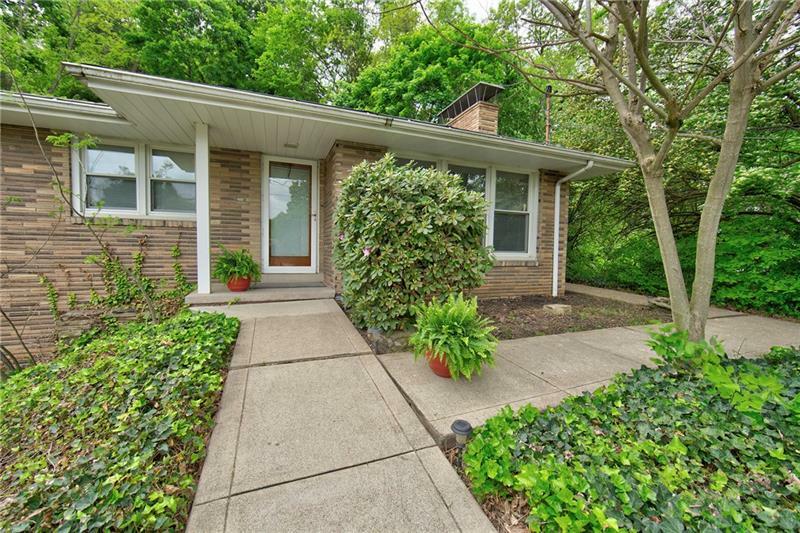 Access to Pittsburgh International Airport, Southpointe, shopping, restaurants. Not to be missed!